There are people who are known as a shop-a-holics. This is just a common word that is made for those that like to shop for the things that they like and don’t know when to quit. 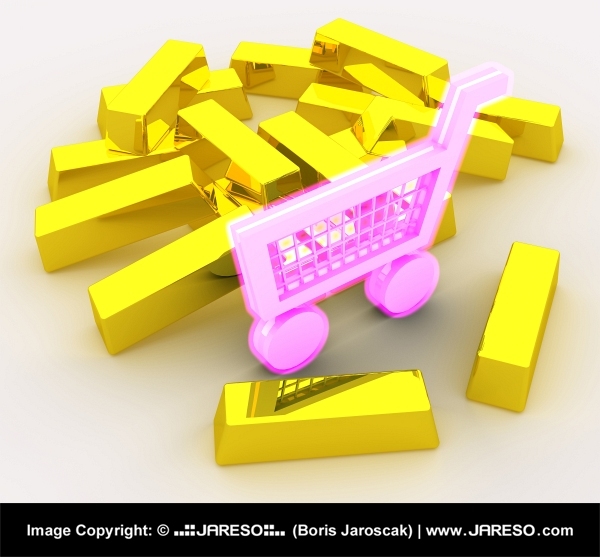 If you have come across this illustration you can see the bars of gold surrounding the pink shopping cart which in a way represents high value or importance. 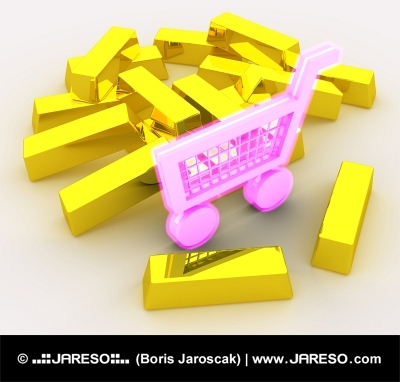 The same as people that likes to shop; since shopping cart is important for them to be able to shop. Would you like to use this thumbnail graphic with the maximum size of 600x557 pixels on your web site and online projects for free of charge? You can do so without any worry and completely legally. The only prerequisite is placement of an active (clickable) link back to this site (jareso.com) somewhere on your website where this photo will be used. By downloading this free lower resolution image in the thumbnail size of 600x557 pixels you absolutely agree to use it in comply with copyright law and required rules.